Carbondale Middle School Principal Jennifer Lamont is joined by library aide Lorri Knaus, ELD coach Aimee Brockman, English language arts teacher Elizabeth Busch, assistant principal Heather Fox, and ELL teacher Grace De La Sala. 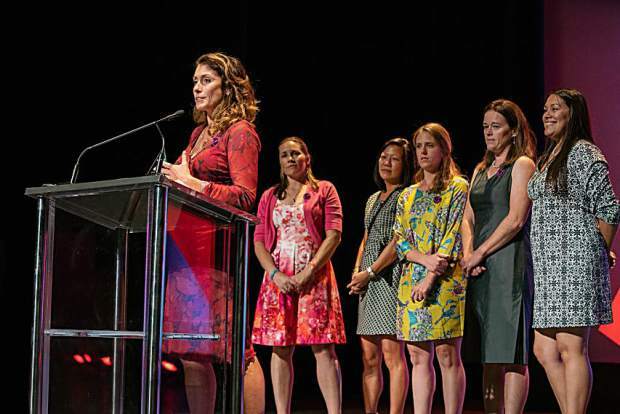 The Succeeds Prize — a partnership between 9NEWS, Colorado Succeeds and mindSpark Learning — recognizes and rewards Colorado’s transformational public schools and educators for driving student success. Sponsored by Colorado’s business community, The Succeeds Prize awarded schools across six award categories with a total of $150,000 in cash prizes.